Dinesh N. Melwani takes a holistic approach to developing patent strategies for clients. IAM Patent 1000 describes him as a “diligent, responsive, and perceptive patent attorney who demonstrates a keen eye for the most successful prosecution approaches.” More recently, the publication noted that he “doesn’t just get you patents – he gets you rights which add value from both offensive and defensive perspectives.” Similarly, Managing IP also found that Dinesh is known as “one of the best and most energetic attorneys.” He also is recognized for a keen focus on advancing the business goals of clients in the United States and abroad. 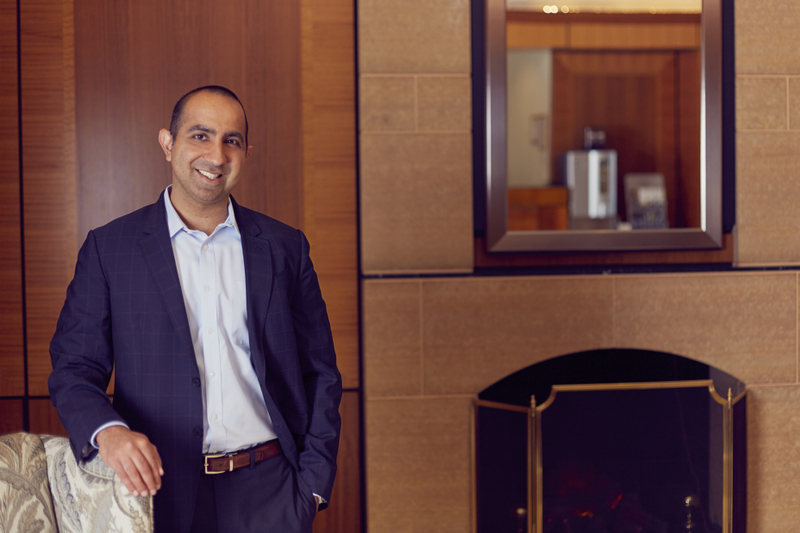 To that end, Dinesh implements strategies that not only solve a client’s immediate need, but also position and protect his client’s business evolution and growth. His practice includes client counseling; efficiently managing, growing, and protecting worldwide patent portfolios; reissuing patents to cover new competing technologies; negotiating patent licenses; conducting IP due diligences to support investment and acquisitions; challenging patents at the PTAB; and advising on patent litigation matters. With respect to litigation, Dinesh’s substantial litigation experience assists with evaluating patent litigation risks from third-party patents and developing suitable strategies for mitigating those risks. His litigation experience also assists in developing inter partes review (IPR) and post grant review (PGR) strategies in concert with concurrent litigation. Dinesh leads the firm’s Patent Trial and Appeal Board (PTAB) practice. He is a frequent author and lecturer on patent law, including practice before the PTAB, strategic development of patent portfolios, and maximizing the value of those patent portfolios. As an Adjunct Professor of Law at the Howard University School of Law, he taught courses on Patent Law and Patent Policy. He also devotes a significant portion of his time to leading BoMc’s diversity efforts and mentoring attorneys through his involvement in organizations such as the Leadership Council on Legal Diversity, American Bar Association, and PTAB Bar Association. Dinesh started his career as a patent examiner at the U.S. Patent & Trademark Office. Prior to joining Bookoff McAndrews, PLLC, Dinesh practiced law for many years at Finnegan, Henderson, Farabow, Garrett & Dunner LLP, a global intellectual property law firm headquartered in Washington, DC. Assisted a startup semiconductor company position its patent portfolio for an initial public offering (IPO). Successfully defended an automotive parts supplier in a PTAB proceeding brought by a Japanese auto manufacturer. Developed and managed the worldwide patent portfolios of multiple startup companies, many of which were successfully acquired. Represented a large medical technology company in patent infringement litigation involving insulin pumps. Successfully defended a large medical devices manufacturer in multiple concurrent patent interferences relating to cardiac arrhythmia and endometrial ablation therapy. Recognized by Managing Intellectual Property for Patent Prosecution, 2016-2018. Recognized by IAM Patent 1000 as a “Leading Patent Professional” for Patent Prosecution, 2016-2018. Recognized by Super Lawyers as a “Rising Star” for intellectual property, 2015-2018. Recognized by LMG Life Sciences for Patent Prosecution and Patent Strategy & Management, 2014-2018. Author. “PTAB Revises Claim Construction Standard,” BoMc Blog, October 11, 2018. Coauthor. “A First Look at the Impact of Recent Rule Changes on Patent Owner Preliminary Responses,” Landslide, April 12, 2017. Coauthor. “Bridging Points Of Contention In University Tech Transfer,” Law360, June 24, 2014. Coauthor. “Should Applicants Include Definitions in Patent Apps?” Law360, May 5, 2014. Coauthor. “Putting U.S. Patent Reform to Work: The America Invents Act in Practice,” The Rose Sheet, August 5, 2013. Coauthor. “Why Startups Should Focus On Patents Early On,” Law360, June 26, 2013. Coauthor. “5 Things a Medical Device Company Can Do to Maximize its Competitive Patent Position,” MedicalDeviceSummit.com, March 13, 2013. Coauthor. “Startup Patent Filing Strategies After the AIA,” Law360, January 7, 2013. Coauthor. “The Role of IP in Medical Device Investments,” Law360, June 26, 2012. Coauthor. “Mechanisms and Strategies for Challenging Patents at the USPTO in the Wake of the America Invents Act,” Intellectual Property Today, April 2012. Coauthor. “How to Develop a Strong Patent Portfolio,” MX Magazine, January 19, 2012. Coauthor. “Navigating the New U.S. Patent Filing System,” Manupatra Intellectual Property Reports, December 2011. Coauthor. “Starting Up? Make Your IP Attractive to Investors,” Mechanical Engineering Magazine, March 2011. Coauthor. “Patent Reform Continues to Focus on Post-Grant Challenges,” North American South Asian Bar Association IP Newsletter, June 2010.